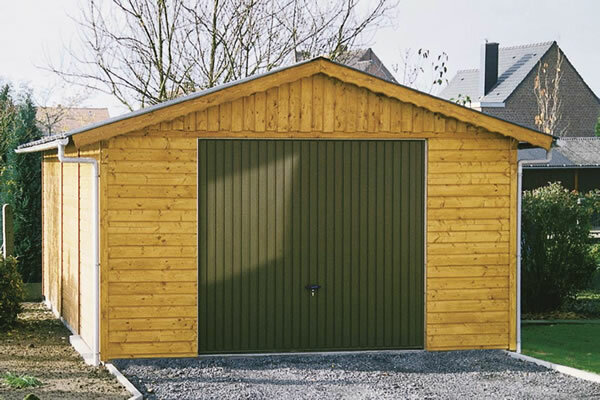 This section includes a variety of wooden panelled garages from Tack. The range includes garages to suit all requirements and styles for example, modern flat roofed, traditional saddle roofed and a cottage style garage with wooden doors. There are many options available such as rounded log panels, insulated roofs, pressure treatment and various window and door options. The section shows just a few garages available to give you an idea of what can be achieved through the various options and sizes available.